New for the Winter Season! At this point, everyone has played half of their games on the schedule and now it’s time to see which team has what it takes to win 4 games in 5 nights for the 52nd boys tournament and forever have their names on the record books. Last year, we saw the Westview Warriors during the midst of their best statistical season in school history take out the two-time reigning champion Angola Hornets in a thriller on their way to a dominant championship-clinching win over Fairfield @ West Noble. The great thing about tournaments is that anything can happen. Teams should go into each game EXPECTING the UNEXPECTED. That means no one takes anyone lightly. Again, anything can happen when you play in tournaments. Girls will always tip-off first at 6 p.m. and the boys will follow unless noted in advanced. The Consolation Rounds will only be played by schools that either lost in the first round or if they had a bye and lost in the quarterfinal round. Those games will be played on Thursday January 10th. The consolation matchups and locations will be determined after the conclusion of the first round games. However, because of Hamilton not participating in the girls’ tournament, I believe there will only be 2 consolation girls matches. However, we will still have 3 boys consolation games. It’s just that one of those locations may only have to host the boys match. So, pay attention for any news and make sure you follow one of the 12 NECC athletic directors for more info regarding this tournament. For those of you that don’t have Twitter, I insist creating a new account. It’s easy and the format is pretty straight forward once you get the hang of it. As for Westview, I don’t think their AD Ms. Darlene Matthew has her own account. So, for the sake of that, go ahead and follow @WestviewHoops for info regarding the tourney for Westview if you haven’t done so already. 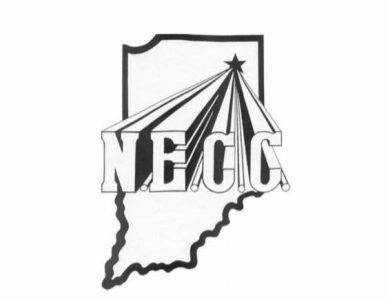 Plus, don’t forget to follow the NECC athletic page and the entire KPC News Sports crew: Sports Director Ken Fillmore (@KenFillmore), Kendallville News Sun sports writer Taylor Lehman (@TaylorRLehman), Editor of the Herald Republican in Angola, IN Chris Reed (Chris_M_Reed), sports writer for The Star in Auburn, IN Brice Vance (@BriceVKPC), and your prognosticating cow Hannah Holstein (@WondercowKPC) for coverage throughout the tournament. Plus, they will have their own preview of the NECC tournament that’s probably way more professional than a 21-year-old typing this preview as we speak has to offer. The Girls determine home-court advantage through the championship round. The girls team that advances and is on the top of that particular bracket will host both their game and the boys game respectively. The Championship game will be played @ Lakeland Saturday January 12th weather permitting. Each team is previewed in this particular order based on where they’re currently ranked in the NECC Standings NOT based on who I think has the closest chance to win the tournament. Why are they the favorites? Despite losing 4 in a row for the first time since the 2014-15 season, all 4 of those losses came against very good 4A schools: Warsaw by 3, Center Grove by 5, Valparaiso by 3, and East Noble by 7. That streak ended Friday @ Hamilton. The Warriors probably have the best starting 5 in the NECC, and arguably has one of the deeper benches in the area. They have the NECC’s 2nd best offense and are the 3rd best defensive team while playing in one of the toughest schedules in the state. They draw a first-round matchup @ Eastside. 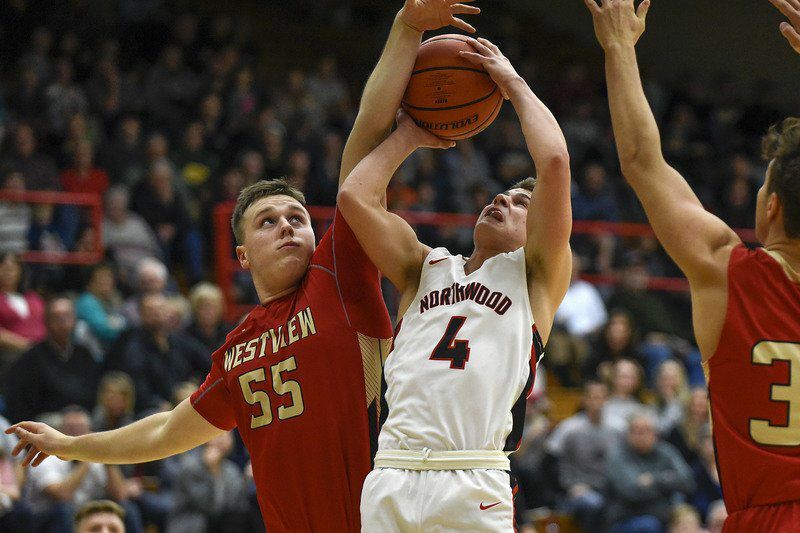 This can be a debatable topic since Westview technically has 3 high-quality stars, but for this one I’ll take Westview junior Charlie Yoder who just recorded 1,000 points in his team’s lopsided win @ Hamilton on Friday. Yoder currently averages 22.2 points per game and has been facilitator on offense and a sparkplug on defense. Senior Elijah Hales averages 17 points per game and has been a wizard for the Westview Warriors. Right now, I’m going to say Nick Rensberger who hasn’t been quite as productive on the offensive side due to an injury he had went through to miss the first few games of the season. However, he remains a force on the defensive end, and he doesn’t necessarily have to score a lot for his team to win every night. Now, with the upcoming NECC tournament, Nick will be in more favorable matchups than some of the games he had to play in against tough non-conference opponents. It’s not quite as easy to find an unsung hero on this Westview team, but I’ll take Josh Hostetler. He doesn’t have the offensive firepower that Hales and Yoder have, but he’s a very strong defensive player who quietly has some of his offensive outbursts. He could be the difference between his team winning the championship or not getting the job done. 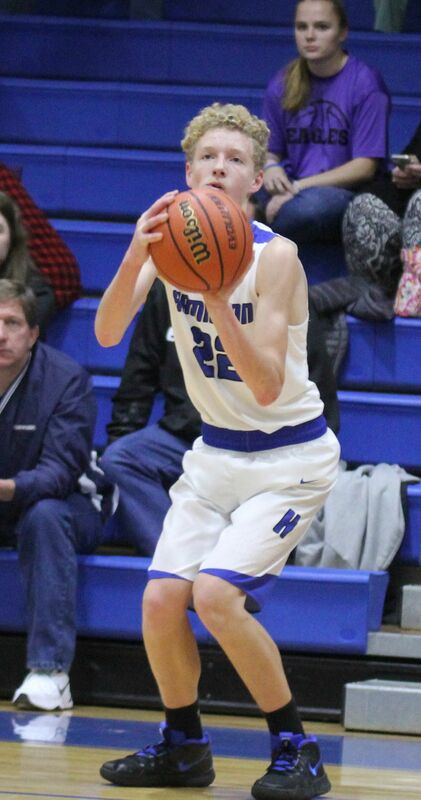 Hostetler recently scored 21 @ Hamilton on Friday. Fairfield has been a very good team this season, and there’s a chance they might have the team to compete with the Westview Warriors for the championship. That is if they get through their bracket. While the Falcons have been a middle of the pack team on offense, they field the NECC’s 2nd best defense behind those Hornets. Their lone losses came by a single point to a much improved Jimtown team and a 4-point loss in the Elkhart Tourney title game to East Noble. They draw a tough first-round matchup on Tuesday @ Angola. If they can get past a solid Angola team, Watch out NECC! While Fairfield plays with a more balanced offense, senior Cordell Hofer is the court general for these hard-working Falcons. Hofer averages 14.6 points a game and 7.6 boards and junior Nolin Sharick averages 13.1 points, 3.4 boards, and 2.4 assists a game. These two players will have to continue be the dominant two-way players for Fairfield to have a shot at a championship. Hofer and Sharick also perform well from the free throw line as they are 69% and 74% in that stat. Nolin Sharick could easily be a breakout star for the Falcons, but I also think senior Skylar Mast could have the tournament of his life. Mast is averaging 9.2 points 4.9 boards and 2.3 assists per game and shooting 67%. The lone down side for Mast is that he is only 35% from the free throw line. If Mast becomes a matchup nightmare in the playoffs, he could be a big part of a deep run. 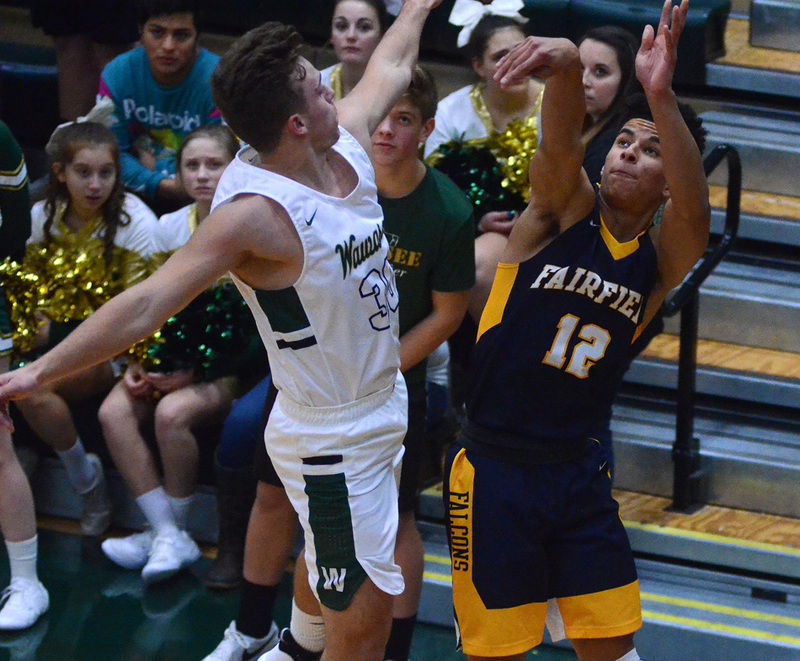 Don’t count out senior Payton Faldoe who has become a very important part of that Falcons squad and he’s pretty much automatic from the free throw line. Faldoe averages 9.1 points 2.1 assists and he leads the team in 3’s made. How can they be contenders? 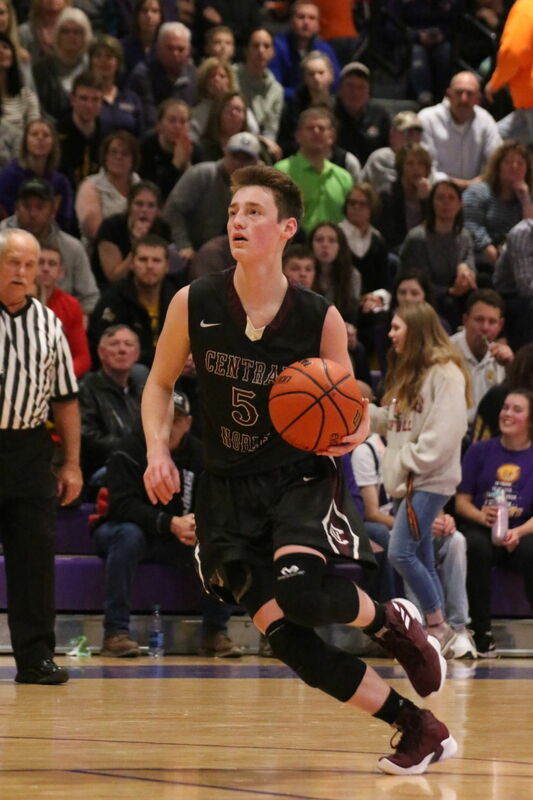 The Central Noble Cougars are quietly having a very solid season, and they’re getting healthy again after playing the 2 games prior to the Garrett game without Carson Capps and Lucas Deck due to injury. Although they have been a middle of the pack team on defense, CN fields the NECC’s most dangerous offense at an average of 68.3 points despite not having the best start to their season on defense. However, after their first-round matchup @ Hamilton, there’s a real chance of having to play the Westview Warriors at CN in the second round. Defense will be key for this team to make a deep run in the tournament. I would argue their starting 5 might be the closest to Westview based on talent alone (when they’re healthy). Senior Ridley Zolman is averaging 16.5 points and about 6 or 7 boards a game, plus he’s been pretty good from the free throw line. Junior Lucas Deck had a very strong season before suffering an injury from the Bremen game. Freshman Connor Essegian is averaging 17.5 points a game (yes he’s a freshman), a big presence on the defensive end, and he leads the team in 3’s made. Senior Carson Capps not too shabby himself as he’s been averaging about 5-6 points. If you get a chance to watch this team play, they’re as much fun as the girls (not just saying that because I graduated from CN). While Essegian can break out at any time this season, I’ll be curious to see how sophomore Sawyer Yoder performs. Yoder currently averages 12.2 points a game and can be a big part of the rebounding department. His performance along with balance scoring from everyone could be vital to his team’s success. For me, it’s without a doubt senior Nick Alwine. He won’t get much credit because he’s not a scorer. But, what makes him stand out from an average player is his defense and how important he is to make plays as a defensive forward. This is the deepest Panthers team that I’ve seen in quite a while, probably since that 2014 team. The Panthers field the NECC’s 5th ranked offense and 4th ranked defense. They potentially get a favorable draw as they have a bye and will host Fremont on Wednesday. This is a Panthers team not to be taken lightly and they’ll give teams some fits this week. Prairie Heights has the luxury to have two potential game changers in tourney play. Senior Garrett Culler is averaging 12.2 points while being a pretty good facilitator on the offense with over 3 assists and shoots just under 30% from downtown and over 40% overall. He’s also a reliable 81% from the free throw line. However, their most dangerous player comes from junior Mike Perkins who’s averaging 16 points 3 boards and shooting nearly 40% from downtown and nearly 60% overall . Perkins is nearly automatic from the free throw line at 88%. If there’s a third guy to definitely do your homework on it’s junior forward Elijah Malone. Malone is averaging 13.9 points a game over 10 boards 1.4 assists and nearly 3 blocks while shooting nearly 70%. Seriously who shoots 70% in high school? Elijah Malone can. He is also a pretty reliable 68% from the free throw line. For me it comes from the junior Brandon Christlieb. He’s averaging over 8 points a game over 5 boards over 2 assists and nearly a block a game while shooting nearly 50%. While Christlieb doesn’t take that many 3’s, he is nearly 70% on a dozen 3-point attempts. He had a career high 24 points in his team’s win over Eastside back on December 8th, 2018. The Angola Hornets have been Red hot as of late as they’ve won 6 of their last 7 games and are back in the mix in the regular season standings. While the Hornets field the NECC’s worst offense at 44.6 points, keep in mind that this is “Bentley Ball” and it’s a very strategic and defensive minded style of basketball that opposing teams have had a very difficult time beating on a consistent basis. However, Angola not only has the NECC’s top defense at 38.9, but it is ranked 3rd in the state. Only Westview has been able to score 50+ points on this defense. Angola gets a tough 1st-Round home Match with Fairfield on Tuesday. If they can make enough shots, Angola has a decent chance of winning the title. But, they got to first play a Fairfield team that is as tough as Westview. The Angola Hornets are a balanced offensive team. But, it is the lengthy 6’4 Junior Dyer Ball that leads that balanced Scoring attack. He’s had several games near or over 20 points this season and recently dropped 24 on a good Prairie Heights defense. Ball is a duel threat both in the paint and from distance. The great thing about this team is, anybody on that team can Breakout on any given night. For instance senior Luke Honer had about 7 crucial points against Prairie Heights. However, the most likely Hornet to break out is senior Blake Pocock who’s shown signs of what he could do and is a solid 2-way point guard for Angola. Watch out for this guy but don’t pay attention solely on him either. Again, anybody can be an Unsung Hero from Evan Leach to David Frank, Jack Hillyard, but also keep an eye on Cole Knox in particular because he’s one of the more inexperienced players on the varsity team but he’s at times been a spark plug on the defensive side of the ball and has a bit of a scoring touch. When Eastside is playing at their best, it’s their defense. While this team has some nice talent on this year’s squad, this isn’t quite the Stingy team we’re use to as they’re near the bottom of the conference in that area while being ranked in the middle of the pack on offense. However, it seems that they’re embracing the gritty, not pretty mentality. That will have to continue as they get a tough draw at home Tuesday vs Westview. 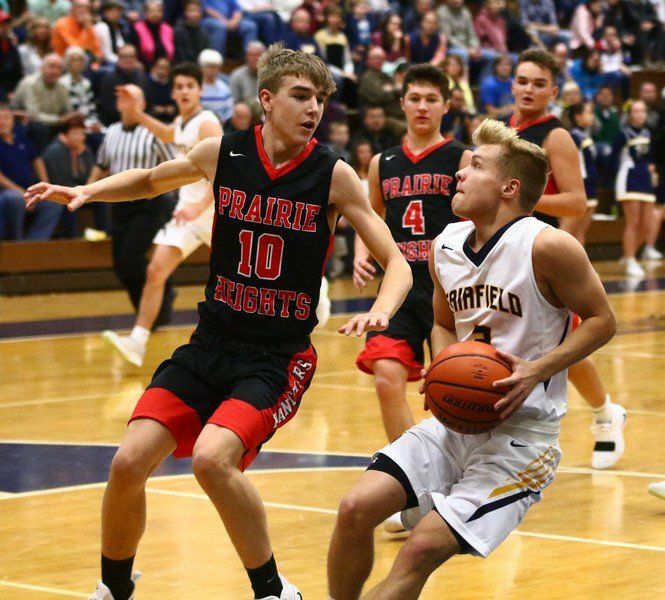 Slightly debatable, but I’ll take the senior Chase Franz who’s been a scoring machine for them this season and part of the reason this team is actually playing some decent basketball. I think it’s time to bring out another senior on this group Alex Yoder another important piece to this team has been a big part on both sides of the court and will probably need to be that leader to keep Eastside in contention against a tough Warriors team. I think this could be the introductory party for freshman Gabe Trevino who’s only going to grow under Ryan Abbott’s system and could be an impactful player in this tourney. 2 things. 1.) Several scoring options at West Noble and 2.) Lots of size. This is a dangerous offensive team even with the coaching change. They field the NECC’s 4th best offense, but they’ve struggled nearly the entire season on the defensive end as they field the NECC’s 3rd worst defense. If they can defend how they did against Lakland, then they have an outside shot of a deep playoff run. West Noble draws Lakeland a team they beat just last Friday and will play them on Wednesday @ Lakeland. For West Noble to beat the bests, Senior Trevor Franklin will have to come up big in the most important times. When he gets going, he has some unbelievably high scoring games. He’s dangerous every time he’s on the court. Franklin averages 15.4 points a game this season. This player has had moments of being the best player on a particular night whether it’s on the football field or on the on court. Junior Josh Gross has the athleticism to be a game changer on any given night. He recently had 13 points to West Noble in their 52-50 win over Lakeland. Senior Nick Knepper can also be a threat from range as well. Senior Drew Miller is not a name you hear a lot from the media unless you’re actually watching a West Noble game. Miller’s got some size and has a little bit of a scoring touch despite him being a forward. He’s a guy to always have your eye on during games. Tanner Freakin Behnfeldt. Ok, in all seriousness, Fremont has a pretty decent starting 5 despite their youth. While they have their ups and downs, Fremont has shown signs of contending. But, the biggest concern right now is their lack of consistency. Fremont is a middle of a pack team on offense at 55 points and have the NECC’s 2nd worst defense allowing 65 points. Their ability to consistently get stops is crucial to a trip to the semifinal round or an early exit in the tournament. Fremont gets the bye and will travel to Prairie Heights on Wednesday. Again, it’s senior Tanner Behnfeldt that will probably put on a show regardless of his team’s outcome. Behnfeldt is the NECC’s leading scorer at just over 23 points and is a threat every time he has the ball. You can’t stop him but you hope to only contain him. One player that I know very well from football and baseball is sophomore Cameron Colclasure. This is one of many talented undergrads on the Fremont squad and he is quite the all-around athlete. Don’t count out senior Eli Marten on contributing for the team as well. 6-foot sophomore Kaleb Gannon could be a difference maker for Fremont. While he’s a bit undersized compared to most forwards, Gannon is another solid athlete and his performance could keep Fremont in games. Despite their size, Churubusco has an extremely talented starting 5. This Busco team is fast and they can score. Busco fields the NECC’s 3rd best offense despite having the conference’s 4th worst defense. However, since the 84-57 loss at Luers, Churubusco’s defense has limited their opponents to just 45 points a game during their 4-game winning streak that included a 10-point win over Heritage. They draw a first-round home match Tuesday vs Garrett. This is a team that could be a sleeper for an upset in the 2nd or 3rd rounds potentially. Every time Churubusco is in games, you pretty much have to assume sophomore Jackson Paul is the court general of that team. Paul is averaging 19 points over 4 boards nearly 6 assists over and 3 steals while shooting over 40%. He is arguably one of the best point guards not only in the NECC but in the area. Also be on your guard for senior center Brayton Bonar who’s averaging nearly 13 points and nearly 5 boards while shooting nearly 60%. One name to definitely keep an eye on is senior Mason Garland. 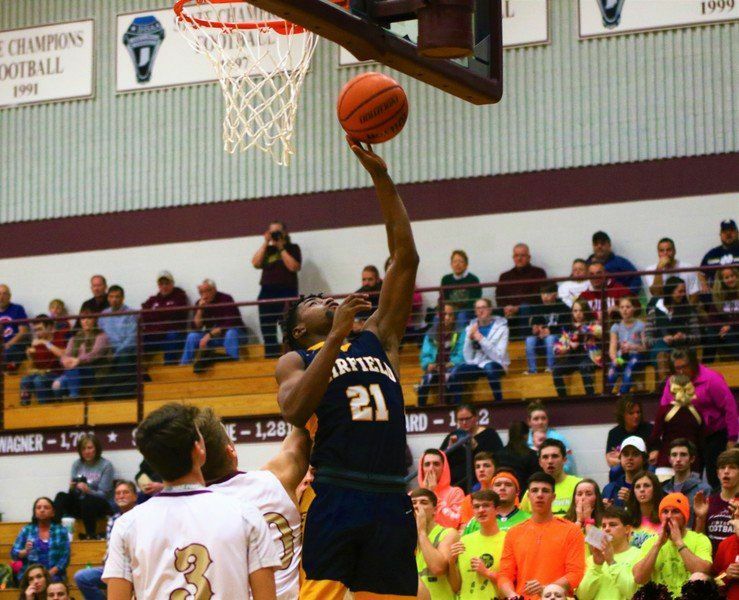 So far this season he has struggled in his first and only full season on the varsity squad after transferring from Carroll as he has averaged 8.5 points and 4.4 boards despite shooting 33%. If Garland finds his scoring touch, watch out. Also, be on your guard for sophomore Luke McClure who’s averaging nearly 10 points and over 2 assists while shooting over 60% and 32% from downtown. For Busco to make a run to the championship round, their role players will have to be at their best on both sides of the court. One of them could be senior Eli Foote. That number 0 is quite familiar from the days of Luke Foote. Though he doesn’t have the shooting touch his older brother had, Eli could make that one big 3 and get a defensive stop for the Eagles. Lakeland boys are not the same team like they were last season, but there is some resemblance of that team. Outside of the East Noble and Westview games, 7 of the 8 other games have been decided by less than 5 points. The problem is Lakeland is only 1-6 in single-digit games compare to 8-3 last season. Also, the Lakers don’t have that Cole Harp or Cameron Bontrager they count on to help Brady and Cole Miller. The Lakers struggles to close out game is why they don’t have a reasonable record, not their effort or to some extent their experience. Lakeland fields the NECC’s 3rd worst offense while placing in the middle of the pack on defense. They get a bye and host West Noble on Wednesday in a game which I think they have a shot at. For Lakeland to have success this season, sophomore Brady Bontrager will have to be a huge part of their team especially on the offensive end just like his brother was. Bontrager has been averaging just under 15 points under 4 boards just over 2 assists and is shooting nearly 40% from downtown and 41% overall. Brady is also 74% front the free throw line. Kole Miller has been known for his glove on the baseball diamond, but somebody get his number because he’s been dialing in on the basketball court. Miller averages just over 10 points over 7 boards and he shoots 55% from the field and from downtown? Man. Can we start giving some love for sophomore Calin Kent? He dropped 20. Yes 20 on West Noble Friday and this wasn’t a JV game. He nearly gave the Lakers everything but the win that night. Kent averages just under 7 points but he shoots 53% from the field and 38% from downtown. Other role players like Jashaun Poole will have to come up big to fight for another day. While it’s very difficult to refer to this team as a true contender, Hamilton does have some talent and if they can catch fire at the right time, perhaps they can at least be competitive at home vs Central Noble. Their first meeting with them was not very good as they lost that night 107-47, but they’re coming off a gutsy 52-48 win @ Garrett. They also only trailed Westview by 10 at halftime on Friday before ultimately losing by 41. Here’s the problem. Even though they’re having their best offensive season in years (6th with 56.7), this is the worst defensive team in the NECC at 76.8 points against per game, they’re probably the smallest team in the NECC, plus they have to again face a CN team that has 4 legit scorers when healthy. If Hamilton is going to make any kind of noise, it’ll have to come from their big guns. Senior Bailey Merritt has been averaging about 14-15 points a game and is the team’s leading 3-point scorer, while senior Marko Stanojcic the foreign exchange student from Serbia is averaging about 15 points a game and is nearly averaging a double-double with his excellent rebounding. Hamilton would like to see Alex Thain continue to be a big part of that Hamilton offense. He’s got some upside as he’s pretty good from downtown, alleviating some of the pressure from Merritt and Marko. Don’t count out Evan Johnson on making some contribution to the team. Austin Suel might be the biggest unsung hero of all unsung heroes in our area. Suel transferred from Tennessee prior to the holiday break and scored 10 crucial points in his Hamilton debut to give the Marines their first win @ Paul Bateman Gymnasium since December 2000. He could be a big part of Hamilton being a much more improved ball club. How can they? Garrett is off to their worst start since 2006-07 and are coming off tough losses at home to Hamilton and Central Noble. On paper, this is probably the least talented team in the conference even if they’re fully healthy. Granted, this team has faced injuries this season, but they’re lacking confidence and they’re not scoring. This team does work hard, but they don’t have a ton of experience to begin with nor do they have a lot of depth on that team despite having size to their favor. Garrett has the second worst offense and 4th worst defense in the NECC. They draw a tough first-round matchup @ Churubusco on Tuesday. If there’s one name that stands out from the pack is senior Kobe Lucarelli. Lucarelli is averaging 12.3 points, 5 boards, and nearly a block a game while shooting 42%. Lucarelli’s two-way game will keep Garrett in ball games. Allow me to introduce to you freshman Graham Kelham. Kelham is averaging 10.8 points and is a force to be reckoned with from distance as he is shooting 38% from downtown and 40% overall. Senior Sam Farney is the kind of player you want on your team. He’s a Nick Alwine for the Railroaders. He cares about his teammates and plays good defense. If Garrett is going to at least beat Busco, they’re going to have to play gritty and out work them because Busco is extremely talented, but Garrett has size.